Emmy and Tony Award winner and Oklahoma Hall of Fame inductee Kristin Chenoweth effortlessly transitions between stage, television and film with the captivating grace that only she can project. The diminutive actress first turned heads on Broadway since the Spring of 1997, appearing in You're A Good Man Charlie Brown (her Tony-winning performance) amongst other big shows. Last year saw her nominated for for a Tony Award for her starring role in On the Twentieth Century opposite Peter Gallagher. Since then she's been in the studio familiarising herself with classics from the American Songbooks, resulting in the release of her most recent record 'The Art of Elegance' sharing favorites old and new, delivered in her unqiue style! After taking a break to pursue her singing and TV career, Ms. Chenoweth really cemented her stardom in the theatre world by returning to Broadway as the first ever Glinda in the Tony-winning musical Wicked. She was nominated for the Best Leading Actress in a Musical Tony Award in the 2004 ceremony, but lost to her co-star Idina Menzel who played Elphaba. She also received rave reviews while starring in the ABC series Pushing Daisies, where she received an Emmy Award for Best Supporting Actress in a Comedy Series and more recently sang up a storm on the hit TV show Glee and starred in the amazing live broadcast of Hairspray on NBC. Sound good to you? 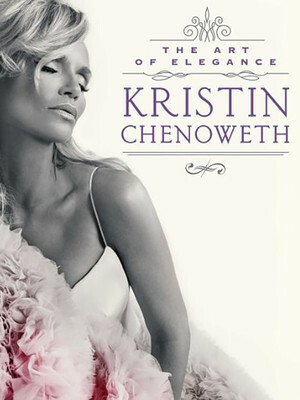 Share this page on social media and let your friends know about Kristin Chenoweth at Boettcher Concert Hall. Please note: The term Boettcher Concert Hall and/or Kristin Chenoweth as well as all associated graphics, logos, and/or other trademarks, tradenames or copyrights are the property of the Boettcher Concert Hall and/or Kristin Chenoweth and are used herein for factual descriptive purposes only. We are in no way associated with or authorized by the Boettcher Concert Hall and/or Kristin Chenoweth and neither that entity nor any of its affiliates have licensed or endorsed us to sell tickets, goods and or services in conjunction with their events.